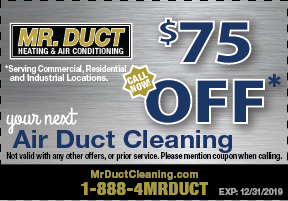 Such signs indicate the need for an expert ductwork cleaning, which Mr. Duct can provide. We thoroughly clean heating, ventilation and air conditioning (HVAC) systems to eliminate dust, pet dander, and other allergens from residential and commercial systems. Schedule your air vent cleaning today.